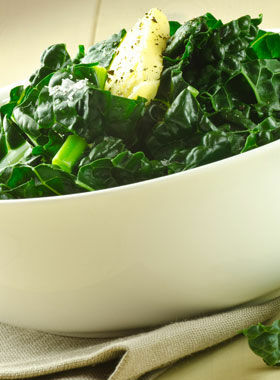 Check out these light (and healthy) dishes from nutritionists and chefs from around the country. Welcome to the middle of summer! If the thought of standing in front of your oven and cooking dinner is making you sweat while you're still sitting in your freezing cold office, we've got you covered. 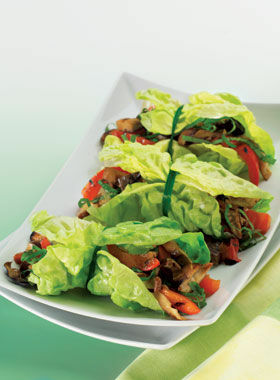 Say bye-bye to boring mixed green salads and ho-hum turkey sandwiches when it's too hot to heat up the kitchen. We've got delicious, fresh main meal ideas whether you're looking for a no-cook meal, want to grill outside, or make a dinner that'll work double-duty tomorrow for lunch. This vegetarian option is filling and can be added to whole wheat tortillas or pita pockets if you're hungrier and want some whole grain carbs as part of your meal. 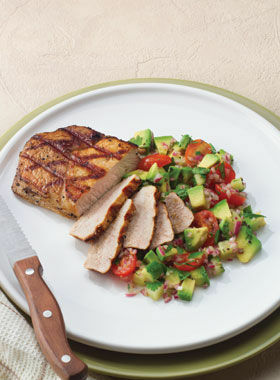 Recipe courtesy of Heidi Skolnik, MS, CDN, author of Grill Yourself Skinny. This lean pork dish is a flavorful grilled summer dinner, but feel free to swap in chicken instead if that's the meat you have on hand, says Skolnik. 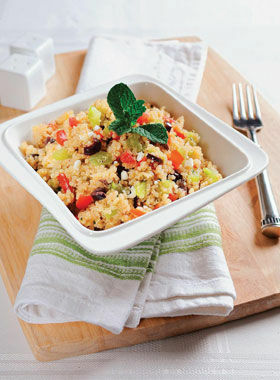 This is a great dish to take to lunch for work the next day and pop in the microwave. You'll be so glad you didn't dig into second helpings the night before! Executive Chef Chad Luethje's summer salad is a favorite amongst guests at the Red Mountain Resort and Spa in Utah. 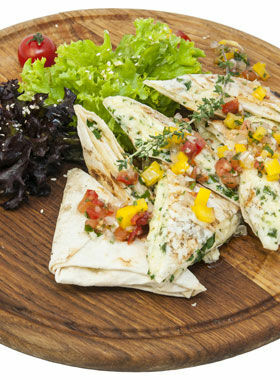 He recommends using a microplane for cheese (and citrus fruits) to add flavor and texture to healthy dishes for few calories. This salad is great to serve with grilled lean proteins as lunch or dinner, or, have it as your pre-dinner salad when company's over. Quinoa is an ancient Incan grain and a complete source of vegan protein, providing all of your daily essential amino acids. Just 1 cup of cooked quinoa offers 8 grams of protein, 5 grams of fiber and 15 percent of your daily value for iron, says Michelle Dudash, RD, author of Clean Eating for Busy Families (which this recipe was excerpted from). 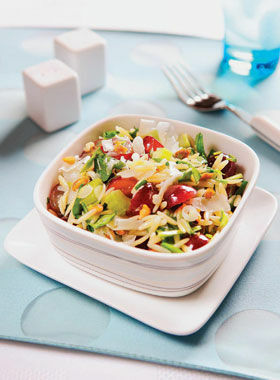 This salad serves as a refreshing, light, yet satisfying main or side dish. 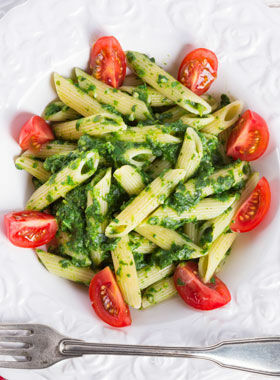 This pasta dish is a great way to work in nearly half the fiber you need in a day, and it provides 17 grams of protein without any animal foods, says Liz Ward, RD, author of Expect the Best, Your Guide to Healthy Eating Before, During, & After Pregnancy. Make this in minutes for breakfast, lunch, or dinner, says Ward. "I suggest Eggland's Best Eggs for the omega-3s and other nutrients they provide, but particularly for their vitamin D, which is four times as much as regular eggs."